Excitement continues to grow around an approach to cancer therapy that is saving many lives. This approach, called immunotherapy, harnesses the power of your own immune system to treat cancer. Immune checkpoint blockade is one form of immunotherapy that has inspired much hope and attention. The therapy works by taking the brakes off immune cells, allowing them to better fight cancer. Unlike most other cancer treatments, checkpoint inhibitors target the immune system rather than the cancer itself. In fact, the 2018 Nobel Prize in Physiology or Medicine was awarded to immunologists James P. Allison and Tasuku Honjo for their research on immune checkpoint blockade as a treatment for cancer. Dr. Allison was a member of the Sloan Kettering Institute from 2004 to 2012. He is one of several scientists at Memorial Sloan Kettering Cancer Center who have been a part of the major immunotherapy advances throughout the history of cancer treatment. Although cancer immunotherapy has only recently attracted widespread attention, its origins go back more than a century. Immunotherapy has actually been a focus at Memorial Sloan Kettering Cancer Center (MSK) since the late 1890s. At that time, William Coley, a surgeon at New York Cancer Hospital (the predecessor to MSK in New York) discovered that cancer patients who suffered from infections after surgery sometimes saw their cancers regress. His finding led to the development of Coley's toxins, a cocktail of inactive bacteria injected into tumors that occasionally resulted in complete remission. But eventually the use of this treatment fell out of favor. In the 1960s and 1970s, research by MSK investigator Lloyd Old led to the discovery of molecular markers (called antigens) on the surface of cancer cells. This enabled the development of the first cancer vaccines and led to the understanding of how certain white blood cells—immune cells known as T cells or T lymphocytes—can be trained to recognize cancer. 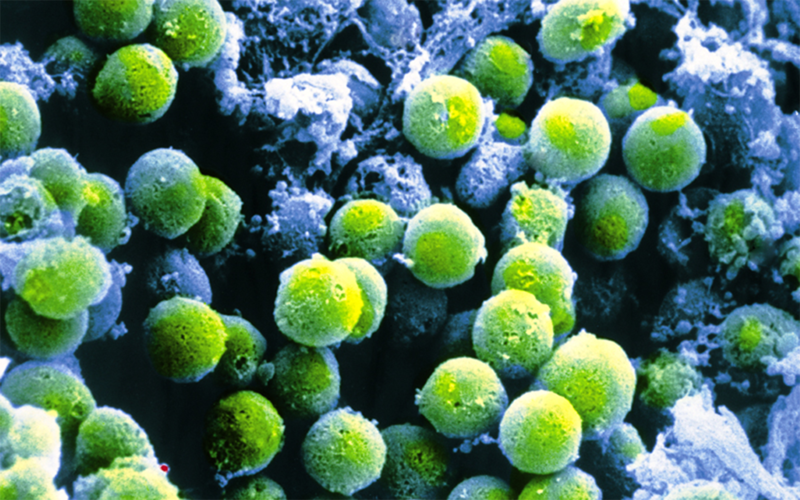 White blood cells called T cells (green) are vital in the immune system's response to infections and cancer. Innovative treatments pioneered by Memorial Sloan Kettering researchers harness the cells' ability to recognize and destroy cancer cells. In recent years, a number of scientific breakthroughs have helped breathe life into the idea that a person's immune system is inherently capable of responding to cancer and can be summoned to effectively defend the body against it. In fact, clinical trials conducted at MSK and elsewhere have shown remarkable successes for new cancer immunotherapies. One of the pivotal milestones in immunotherapy research is the work of Dr. Allison, who showed that a molecule called CTLA-4—a protein receptor on the surface of T cells—acts as a brake on T cells, preventing them from carrying out immune attacks. He later developed an antibody that blocks CTLA-4 and showed that "releasing" that brake allows T cells to destroy cancer in mice. Anti-CTLA-4 eventually became ipilimumab (Yervoy®), a drug approved in 2011 for the treatment of metastatic melanoma, the most deadly form of skin cancer. Dr. Allison, together with MSK physician-scientist Jedd Wolchok, helped guide the development of ipilimumab from the first laboratory studies through the late-stage clinical trials that led to the drug's approval. 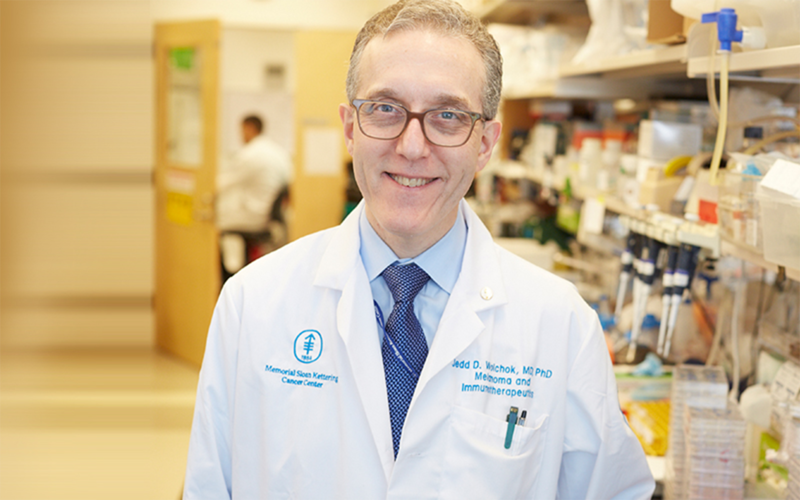 Jedd Wolchok, MD, PhD, Chief of the Melanoma & Immunotherapeutics Service at Memorial Sloan Kettering, has played a central role in developing and testing the immunotherapy drugs known as checkpoint inhibitors. MSK has played a leading role in developing and testing immune checkpoint blockade therapy, which, in addition to ipilimumab, include nivolumab (Opdivo®), pembrolizumab (Keytruda®) and atezolizumab (Tecentriq®). The therapies have produced remarkable results, controlling cancer completely in some patients with highly advanced melanoma, as well as in patients with lung, kidney, lymphoma, and bladder cancers. Check out Joanne's Story to learn about her experience with immunotherapy. Another form of immunotherapy is now garnering attention. Doctors are treating some types of cancer with genetically engineered immune cells built specifically for the person receiving them. In this innovative approach, called chimeric antigen receptor (CAR) T cell therapy, immune cells are removed from a patient, armed with new proteins that allow them to recognize cancer, and given back to the patient in large numbers. These cells persist in the body, becoming "living drugs." MSK scientists pioneered this therapy and have led the way in using it to treat people with leukemia and lymphoma. In fact, results from the longest-running CAR T clinical trial shows which patients benefit most and have the fewest side effects. The study, conducted at MSK, demonstrates the long-term benefit of the approach and suggests ways to make it safer and more effective. MSK scientists are working to improve and expand on this approach. Check out Ezzy's Story to learn about her experience with CAR T cell therapy. Immunotherapies have dramatically improved therapeutic options for many people with many different types of cancer, but the approach does not work for everyone. Research is underway to help make immunotherapy safer and more widely effective. It is yielding important insights about how immunotherapy drugs work and how they could be improved. For example, a number of clinical trials are now looking more closely at the effectiveness of combining immunotherapy drugs in order to boost the number of responders. In addition, investigators are working to better understand how treatment responses relate to the underlying biology of a tumor. Eventually, the goal is to use characteristics of the tumor to choose the right therapy for the right patient. As laboratory research and clinical trials continue at MSK and elsewhere, there will be new opportunities for more patients to benefit from immunotherapy—a promising approach that is transforming the way we think about cancer care. Learn more about immunotherapy and cancer at https://www.mskcc.org/immunotherapy-msk.